After splitting their singles matches on Friday and coming up short in Saturday’s doubles, Switzerland’s two man team of Roger Federer and Stan Wawrinka had no other option but to win out in Sunday’s reverse singles. The 2014 Australian Open champion was up first, taking on Kazakhstan’s #1 Mikhail Kukushkin. 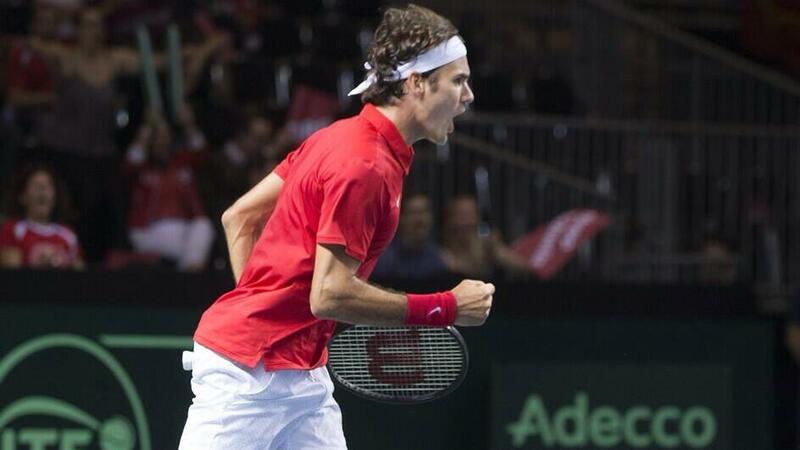 It was a battle from the start, with both teams knowing the fifth and deciding match would be contested by Federer. Kukushkin found his way to securing the first set in a tiebreak, but not before “Stan the man” stayed persistent with his game plan, in a hard fought, four set victory, 6-7 (4) 6-4 6-4 6-4. With the Davis Cup quarterfinal tied at two-apiece, the stage was set for Roger Federer and Andrey Golubev. Golubev was described by the Swiss maestro be the “man of the match” after Saturday’s doubles, for his win over Wawrinka on Friday and impressive play to help Kazakhstan take a 2-1 lead. 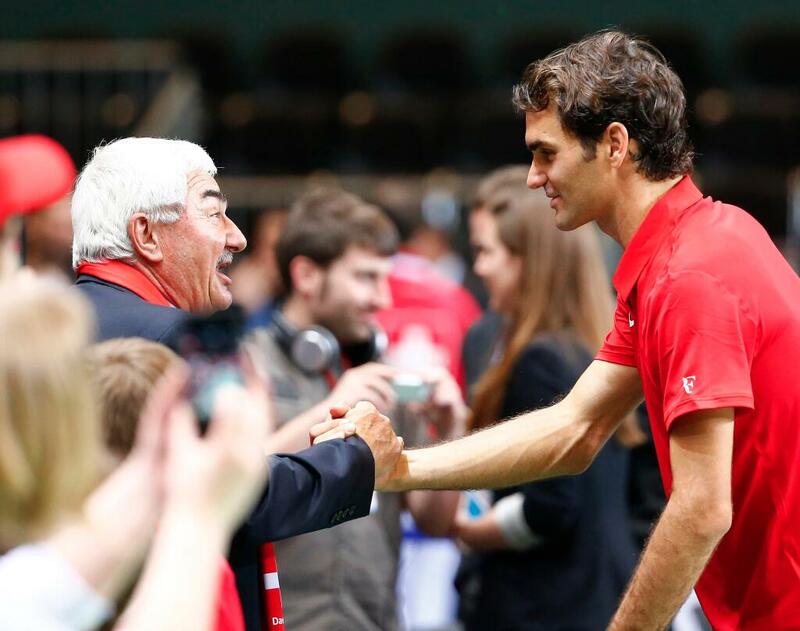 However as much as the Kazakhs would hope for a semifinal berth, Federer lifted Switzerland to the elite stage instead. The 17-time grand slam champion shut out Golubev in the first set tiebreak before cruising to serving out the match. For being 32 years old, playing ten sets over three days showed no signs of weariness. One last serve down the middle, and Federer jumped in victory, ecstatic to lift Switzerland to the Davis Cup semifinals; 7-6 (0) 6-2 6-3. 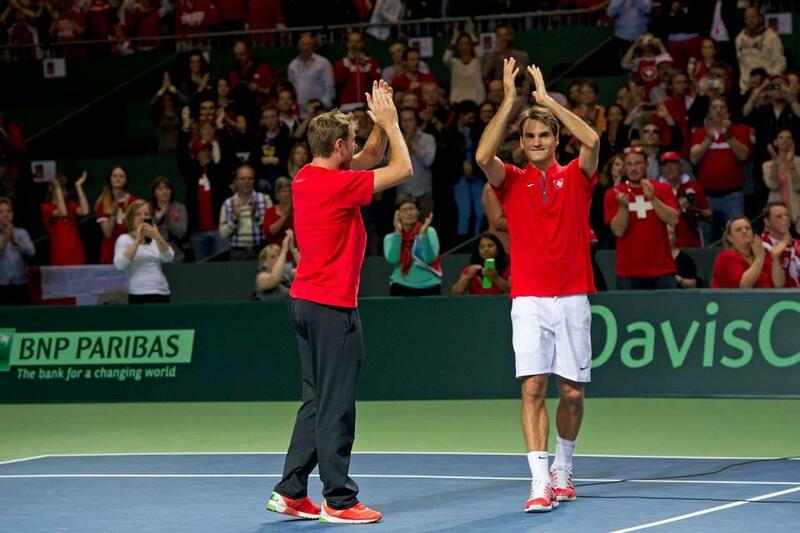 The Swiss are in the Davis Cup semifinals for the first time since 2003, and will host Italy, September 12-14.